Freedom Tri's Christine Caine slayed the monster at the Ely Monster Middle distance triathlon. Taking on the 1.9km open water swim, 92.8km bike and 21km run, Christine did fantastically well, finishing in 7:21:31. Racing at the Hertfordshire Triathlon Summer at Stanborough Lake in Welwyn were Ann Tryssesoone, Jonny Pennell, Suzy Hawkins, Michelle Reeves, Richard Sprignall, Hannah Sypula, Rob Evans and Jon Sypula. This "standard" distance was raced over a 1,500m swim, 40km undulating bike and 10km cross country run on grass. Tryssesoone finished 2nd in age group in 3:00:14, Pennell 3rd in age group in 2:29:50, Hawkins 3rd in age group in 2:37:07, Reeves 4th in 2:47:10, Sprignall 7th in 2:36:36, Hannah Sypula 7th in 3:50:31, Evans 12th in 2:45:05 and Jon Sypula 22nd in 3:21:44. Taking on the Breca Gower Swimrun were Chris Clark and James Parsons. This team event, at Wales' iconic Gower peninsula includes 40km of trail running on Gower's spectacular and incredibly challenging coastal path, and 6km of ocean swims will make Breca Gower a true swimrun test and an unforgettable experience. The pair completed this epic journey in a fantastic 7:50:36. 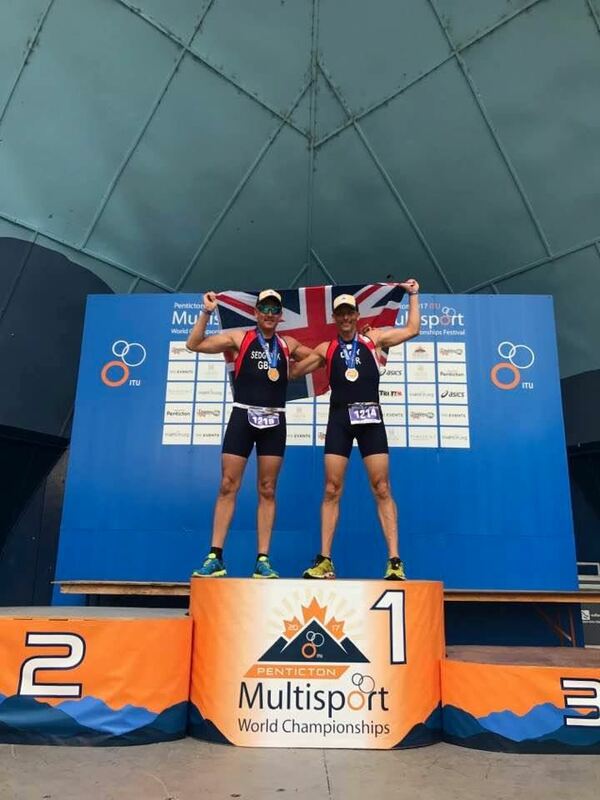 Further afield in Penticton,Canada, Rob Sedgwick and Micky Day raced at the World Duathlon Sprint championships. Comprising a 5km run, 20km bike, 2.5km, this race featured world class athletes from far and wide. Day finished 18th in category in 01:09:56, and Sedgwick was 41st in age group in 01:20:49. Milton Keynes was the setting for the ‘Cowman’ middle distance triathlon organised by Big Cow Events. The race consisted of a 1.9km swim / 92km bike and 20km run. Simon Jackson was very pleased with sixth place overall in 4:29:59 followed by Matthew Sayers in 5:00:17; Kevin Smart in 5:29:07; Mark Allen in 5:37:10 and Ian Robinson in 5:56:15. Over in the women’s race Emma Kinsey placed an excellent ninth in 5:45:47. Also competing at the same venue in the ‘Calfman’ triathlon comprising a 950m swim / 46km bike and 10km run was Lucy Patterson who came 75th in 3:12:28. New to triathlon this year, Jon and Hannah Sypula completed their first triathlon at Active Training World Dorney Triathlon. Racing over the sprint distance of a 750m open water swim, 20k bike and 5k run, Jon finished in 1:26:05, 16th in category, and Hannah in 1:35:56, good for 5th in category. 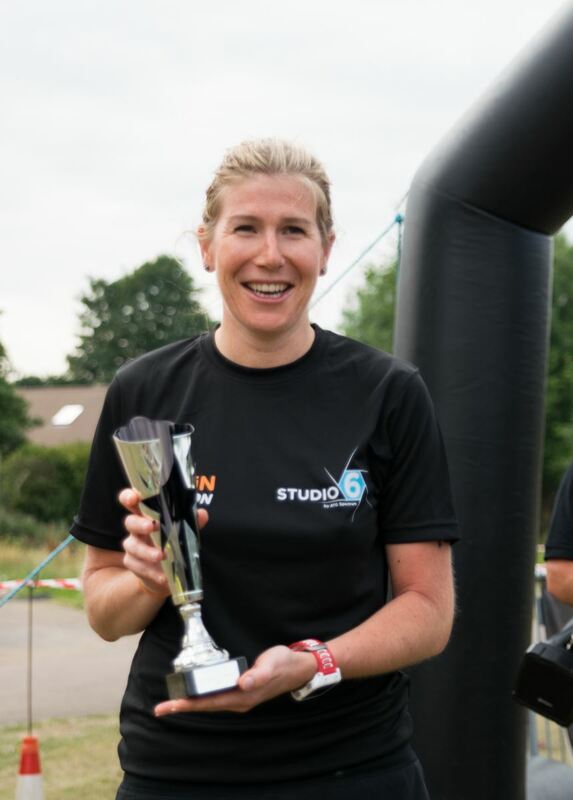 Louisa Suff and Terry Sawyer raced at the 113 Cotswold Middle Distance Triathlon. Swimming 1.2 miles (1.9 km), cycling 56 miles (90 km) then running 13.1 miles (21 km) Louisa Suff finished 67th in category in 5:37:45, Terry Sawyer 165th in category, 5:33:00. Liz Aitken and Sara O'Callaghan went long in the water, and took part in the SwimRutland 4km swim at Rutland Water. Both performed superbly in their wetsuits, Liz Aitken finishing in 1:46:28, and Sara O'Callaghan 1:57:23. 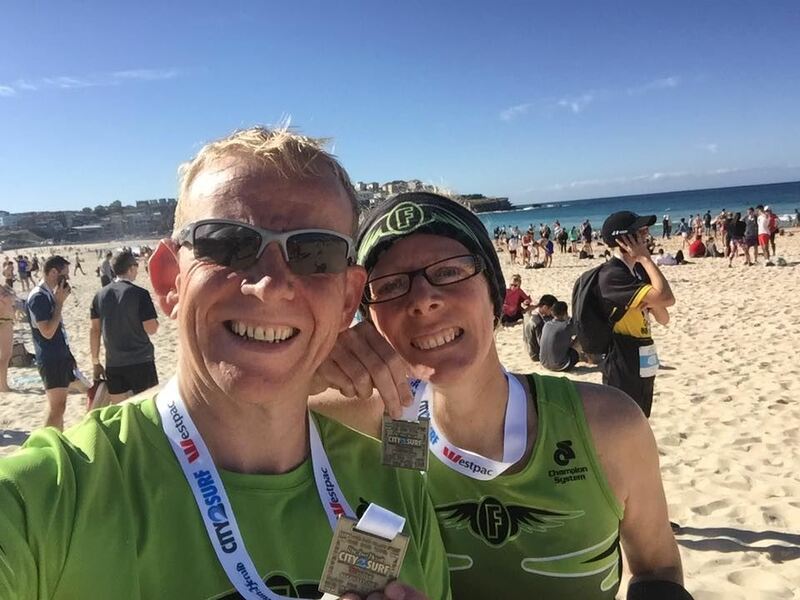 Further afield in sunny Australia's Bondi Beach, Matt and Jenny Cotter raced the 14km Sydney City to Surf race. Matt finished in 1:17, while Jenny completed the race in a fantastic 1:08:51. Rob Evans completed the EDF Alpe d'Huez short course triathlon in France. This picturesque race kicked off with a 1.2km swim lap in the chilly waters of Lac du Verney at an altitude of 700m. This was followd by a 28km race to the 1800m summit via 21 hairpin bends. Finally after the gruelling bike there followed a 6.7km run loop of the legendary ski resort made famous by the Tour de France. Rob completed the race in an impressive 3:00:29. Also in this week's news, 13 Freedom athletes took part in the challenging Herne Bay Pier to Hampton Pier 3km swim organised by Active Life Triathlon Club. First for Freedom was Monica Corcoran in 49:51; followed by Rachel Carling in 59:35; Richard Springall 59:40; James Parsons 1:00:58; Lynda Robinson 1:01:04; Mark Bullivant 1:06:13; Rebecca Reeve 1:10:59; Joanne Bywater 1:11:14; Jane Britten 1:11:19; Ann Tryssesoone 1:13:48; Christine Caine 1:15:16; Liz Aitkin 1:15:38 and Emma Croxon in 1:25:20. Freedom Tri’s athletes become Outlaws for the day. 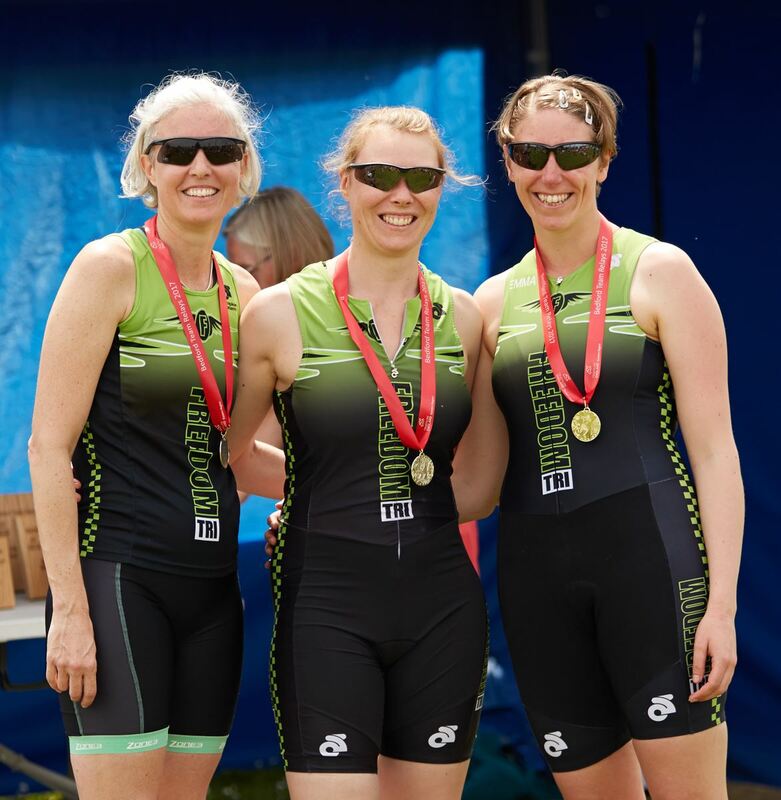 Nottingham’s National Water Sports Centre played host to the Outlaw long distance triathlon organised by One Step Beyond events. Racing against a nail biting 17 hour deadline Angela Phillips completed this legendary swim/bike/run race in 14:33:28 with David Wright despite feeing unwell on the day finishing in 15:56:53. The world’s largest triathlon, the AJ Bell London Triathlon in the heart of docklands was held over the weekend. Rob Sedgwick completed the sprint event in 1:23:51. Over in the standard event Matthew Sayers crossed the line in an impressive 2:17:51, with Matt Cotter finishing in 2:36:31 and Terry Sawyer close behind in 2:37:56. The Ironman brands flagship UK event was held at Bolton over the weekend. The tough long distance course was a challenge even for seasoned athletes. Steffan Lestyn Ford was first for Freedom 182nd in 11:18:20 followed by Paul Sowter 451st in 12:28:13 and in his first ever Ironman event Mark Bullivant 1227th in 15:11:02. 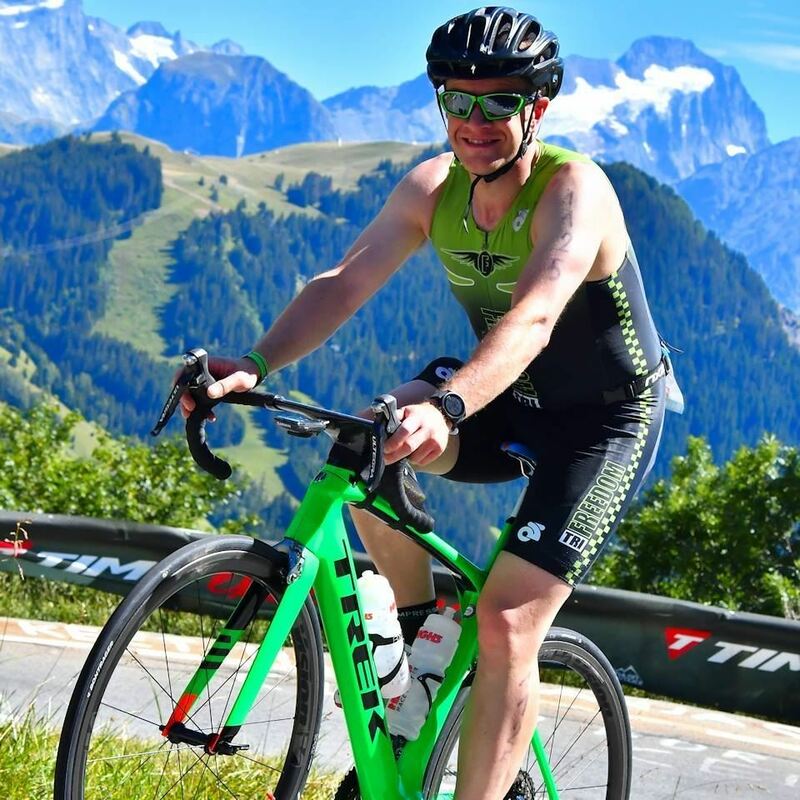 Robert Clarke headed to Roth in Germany for their Challenge event completing the 2.4 mile swim, 112 mile bike and 26.2 mile run in 14hours and 33minutes. Bournemouth was the setting for Pier to Pier 1.4 mile charity swim in aid of the British Heart Foundation. Matt Cotter battled the tides to complete the event in an impressive 35:56. Finally Weymouth Middle Distance Triathlon organised by Bustinskin Events saw Chris Clark come 31st in 5:17:44 and Dean Heuer 68th in 5:53:39. Hertfordshire’s largest triathlon club Freedom Tri spread their wings both here around the globe this weekend to achieve fantastic results. Hitchin Swimming Pool played host to this years inaugural Hitchin Triathlon organised by the Hares. At Box End water park. In the standard distance race Mark Allen was 9th in AG 2:41:13 whilst Emma Kinsey was 1st in AG in 2:44:27. In the sprint distance Chris Belcher unfortunately took a tumble on the bike and had to pull out due to injury. Suzy Hawkins first for Freedom in 10:54:03 followed by Michelle Reeves 10:57:58; Rob Sedgwick 12:23:36 and Ann Tryssesoone in 13:51:37. Rob Clarke finally completed this legendary long distance race in 14 hours and 33 minutes. 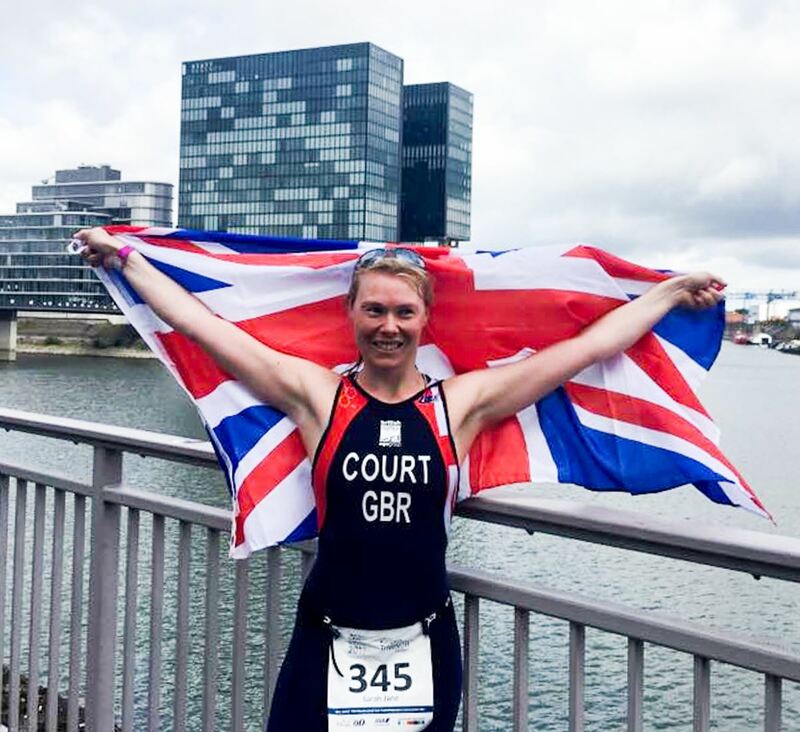 Over the weekend GB team qualifiers Chris Belcher and Sarah-Jane Court competed at the European Sprint Triathlon Championships in Dusseldorf. Over an extremely tough course Sarah was 17th in her age group in 1:25:00 whilst Chris was 34th in his age group in 1:15:38. 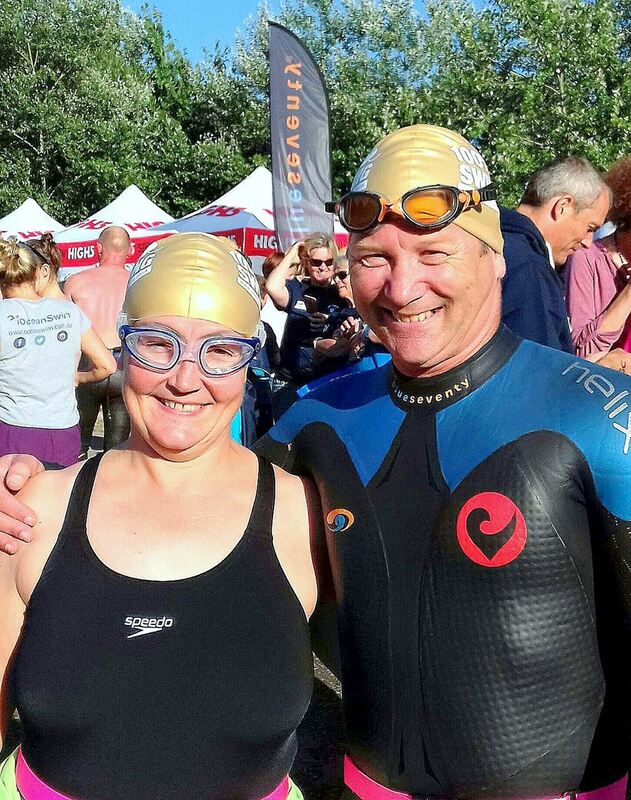 Debbie Murphy and Sparky Whittle took part in the 100% Swimming 24 hour swim in Lincoln. Both swimmers managed to complete the 22 mile marathon course within the allotted time, exhausted but happy. Over in St.Neots an impressive turnout of Freedom Tri athletes headed over to the Nice Tri standard distance triathlon - 1500m swim / 40k bike / 10k run. First for Freedom in the men's race was Michael Day 16th in 2:29:57 followed by Matthew Sayers 23rd in 2:33:37, Richard Springall 26th in 2:34:19, Chris Clark 28th in 2:35:04, Thomas Sauka 40th in 2:40:38, Robert Evans 43rd in 2:42:41, Dean Heuer 47th in 2:43:49, Ian Robinson 54th in 2:46:06, Chris Mcque 73rd in 2:52:37, Ian Jones 77th in 2:53:46 with Mark Lacy 79th in 2:54:10. Over in the womens race Michelle Reeves was 3rd in 2:40:36 followed by Louisa Suff 6th in 2:47:22. Competing in the sprint event 750m swim/ 20k bike/ 5k run was Amanda Maylin who came 23rd in 1:44:48. Box End Park at Kempston (MK) played host to this year's British Triathlon team relays. With a novel race twist, each 3 man team member took turns to race each leg of the race. 3 x 750m swim, 3 x 20k bike and 3 x 5k run. The teams were ranked on their overall cumulative time. The Freedom women's teams had an excellent day out. Emma Kinsey, Helen Cairns & Sarah-Jane Court took gold in the Eastern League and silver overall with 3:54:27. Jane Britten, Rachel Carling & Tracey Palmieri took silver for the league in 4:05:39. Over in the men's race, the bronze medal in the league went to Rob Willis, Stefan lestyn Ford & Simon Jackson with 3:21:35. 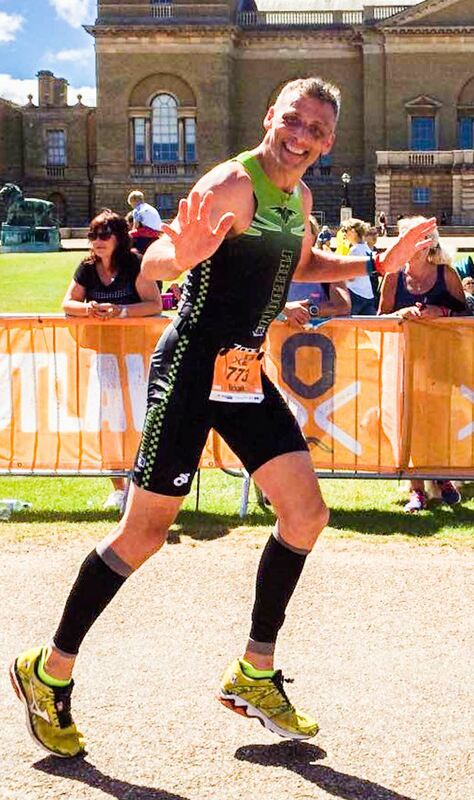 Other Freedom news, Chris Belcher came 83rd overall (13th in AG) at the British Triathlon sprint championships in Strathclyde in an amazing 1:10:18. Grafham Water in Cambridgeshire was the setting for 'The Grafman' middle distance triathlon organised by Nice Tri events. This long distance race comprises a 1.2 mile open water swim, 55 mile bike plus a 13.1 mile run. Unfortunately due to the 12 degree water temperature the swim distance had to be cut down to 600m. In the women's race Suzy Hawkins placed a fantastic 7th in 4:47:22 (2nd in 40-44 age group); Michelle Reeves was close behind13th in 5:05:10 (2nd in 30-34 age group) with Anne Tryssesoone 35th in 5:33:32. In the men's race new member Paul Sowter turned in an impressive time of 5:11:47 - 221st place whilst endurance specialist Rob Clarke came 386th in 6:07:04 despite feeling unwell on the day. 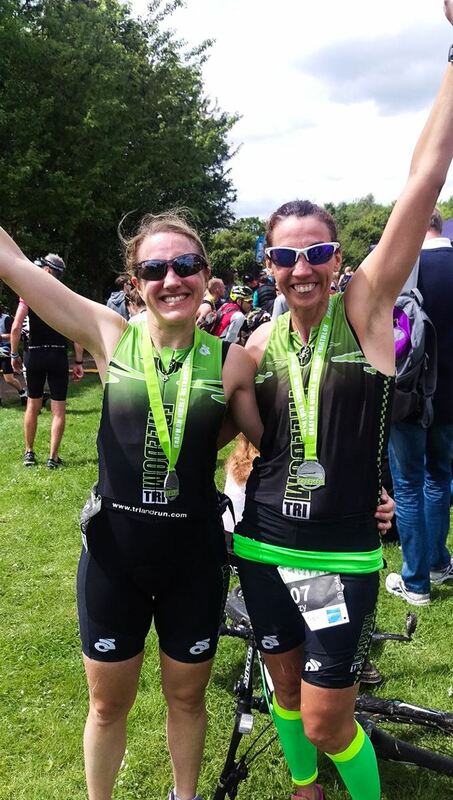 Other Freedom news, Chris Belcher and Sarah-Jane Court took part in the ITU World Championships Qualifier Sprint Triathlon (750m swim, 21.5k bike, 5k run) organised by Human Race at Eton Dorney. Sarah placed 11th in the 30-34 age group in 1:14:33 whilst Chris placed 22nd in the 40-44 age group in1:09:10.